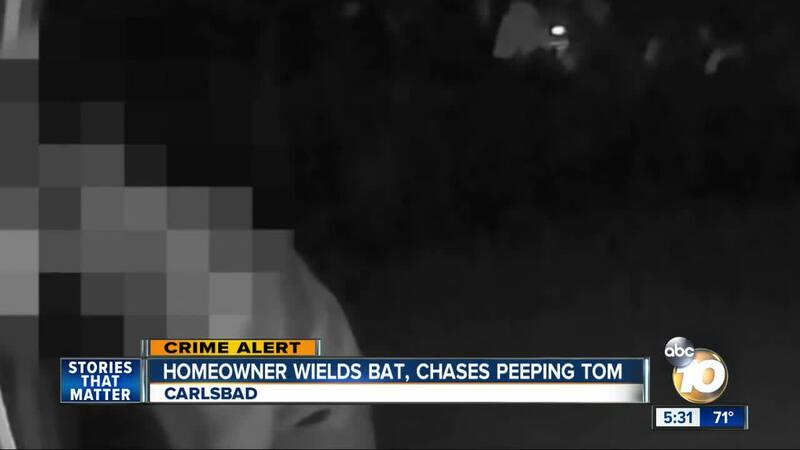 CARLSBAD, Calif. (KGTV) — A Carlsbad father says he's worried about his neighbors after catching a "Peeping Tom" peering through his window for the second time. Graeme Stanners said he and his daughter were home on Tuttle Street when the man stopped by again early Monday just before 1 a.m. 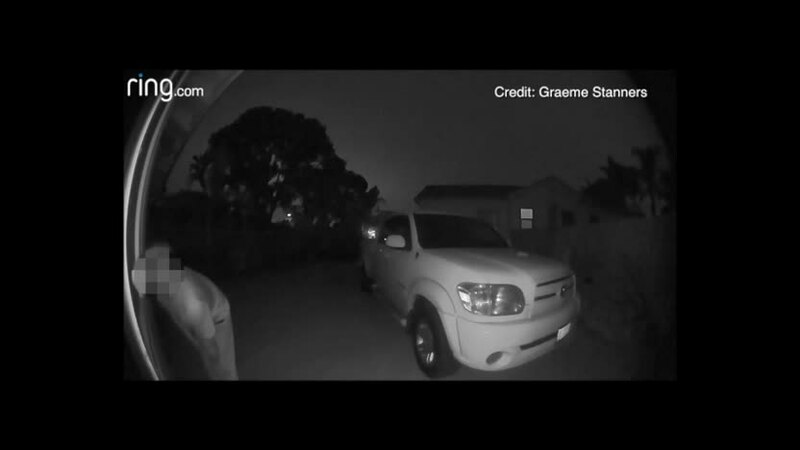 Both watched on Ring doorbell video using their phones as the man casually walk up to the home and look inside. Video shows the man becomes startled, and seconds later Stanners runs outside with a baseball bat and follows the man's trail. "My daughter texted me and said, 'Hey that same guy is looking in the window right now,'" Stanners said. "I got fired up and said hey I'm going to try to catch him, got a baseball bat and tried to chase him down the street." It was the second time after days before Stanners caught a man doing the same thing on Saturday. "It totally freaked me out. I thought 'who is this guy and why is he looking in my window?'" Stanners wrote in an email to 10News. Stanner said he has filed a report with Carlsbad Police twice, but there's not much that can be done unless the man is caught committing a crime. 10News has blurred the man's face because he has not been charged with a crime. He added that police have done a good job inspecting the neighborhood after his reports. "I want to make sure he's caught. If he's doing it to me, he could be doing it to other people," Stanners says.